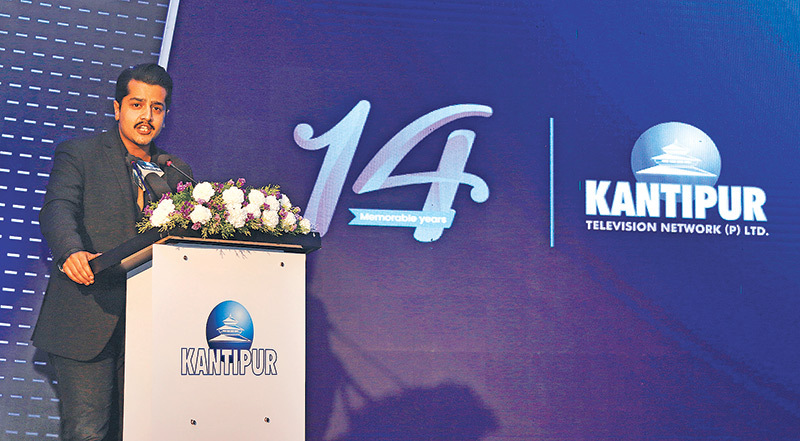 Jul 15, 2017-Chairman and Managing Director of Kantipur Media Group Kailash Sirohiya has said the Kantipur Television would always be a true defender of democracy. KTV Chief Executive Officer Sambhav Sirohiya announced that the television would go HD in a new avatar soon. “We are aiming for a completely new channel with the same name. We are not just a television channel but a visual content company, so we need to embrace advanced technology to meet our Nepali audience around the globe,” he said. However, CEO Sirohiya said going HD alone would not be enough to meet the expectations of viewers, who have been watching global media and expecting similar programmes, and the growing competition. “Having HD transmission is no big deal. 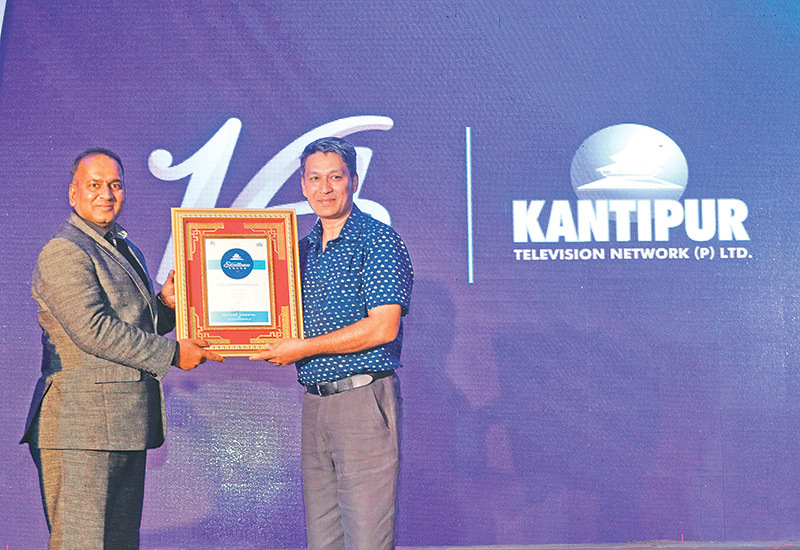 We could have adopted HD transmission within a month after I became the CEO,” said Sambhav, adding that KTV transmission on HD with rebranding and repackaging would be a push forward for the Nepali television industry as a whole. “Our objective should be about the television industry overall, entertainment and visual content,” he added. On the occasion, KTV awarded its staffers from various departments for their outstanding performance in the year. KTV engineering department chief Matindra Pradhan bagged the CMD Excellence Award.